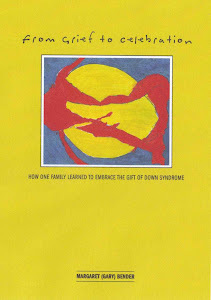 There are so many misconceptions about children with down syndrome. But of all the myths I have heard, there is one that I find to be completely true - a love for music. Alex loves music, she loves singing and she loves to dance. She wants to be a rock star when she grows up! When Alex was younger we got her a karaoke machine for her birthday. She will spend hours in her room with the machine singing along to the music. When she has friends over she will insist they also go up to her room and sing with her. Sometimes we will even have family dance parties in her room. It is such a happy time for her and for us. Alex has had the opportunity to showcase her talents at a couple of WindWalkers benefits. Two years ago we invited Shelly Williams, a country singer from Nashville, and Bobby Mason, a renowned local musician, to perform at the annual benefit. 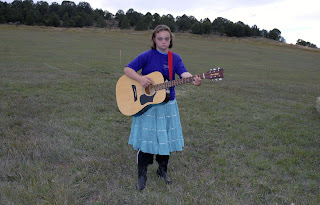 Alex decided on her own that she needed to dress up in her country clothes and bring her guitar. We were able to introduce her to Shelly and Bobby before the performance and asked if they could listen to Alex. Well unbeknownst to us, they decided they would invite Alex up to the stage to perform with them. She was invited up to perform with Bobby, then with Shelly, then with Bobby and Shelly - a total of three times. A performance addiction was born! This past year, Alex obviously assumed she would perform at the fall benefit and came prepared with her guitar. The venue was not quite as country this year - rather more rock and roll - but Alex is very versatile. The band invited her to play - although this time I had to ask -but as I knew would be the case, the audience was very moved. 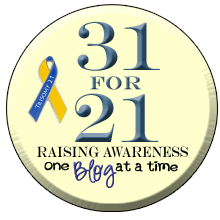 In your mind, just imagine a 16 year old with down syndrome on a stage strumming her guitar and singing along with professional musicians - it really is quite touching. Alex has taken guitar lessons and learned a few chords. But she got bored after a few lessons, because rock stars do not take guitar lessons - at least in her world. Instead, she sings along and strums her guitar. I am not at all musically inclined - so to my novice eyes she does look like she is playing the guitar. She knows the words to almost every song she has ever heard, and if she does not know the words she fakes it so well it is hard to know. I must admit she does sing a bit off key at times, but in my humble opinion so do some rock stars and so do I. Music is so important to Alex that she will try to include it whenever she can. Recently, Alex has started to call her father John and will not call him Dad. I could not figure out why and it took me a lot of time to get her to explain. Apparently (and since I am not there, I can not vouch that this is the complete truth) John will not let her listen to her favorite radio station when he drives her to school. Therefore he can no longer be her dad, he must be John. I can only assume this is her version of passive aggressiveness! I am now the favored driver, and at 7:30 in the morning it is often hard to listen to a slightly off key teenager sing at the top of her lungs. Sometimes though, I will lose a battle because I am planning to win the war. So I suffer in silence, but am grateful for Alex's happiness....just part of being a Mom. Music has the ability to soothe and calm almost everyone and in Alex's case this is especially true - as we say - once again that genetic material is making her extra special. She listens to music in the car, at home, on TV, on my cell phone, on the computer and as soon as she loses that extra weight, she will be able to listen to music on her own i-pod touch. Alex, the rock star, is in her future!